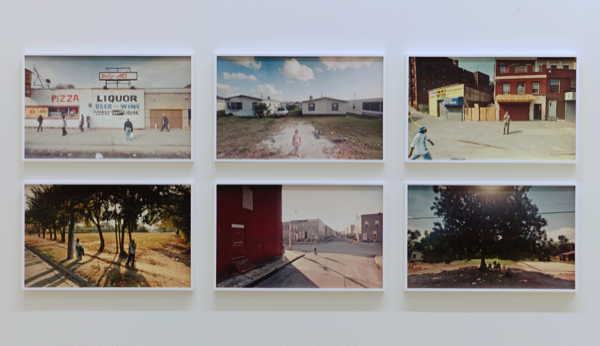 With a background in sociology and American history, Doug Rickard is deeply interested in thinking about what it means to be an American. With this series, called A New American Picture, Rickard consciously seeks out overlooked and blighted corners of the American landscape—places you would probably never see unless you lived there—using Google Streetview to find and compose images that he then photographs off of his monitor. Because Google blurs out people’s faces and the impersonal camera further distances Rickard from his “subjects” he is able to create an airless, almost apocalyptic, atmosphere that would be impossible if he traveled to these places like the road photographers he admires, notably Walker Evans, Robert Frank and Stephen Shore.